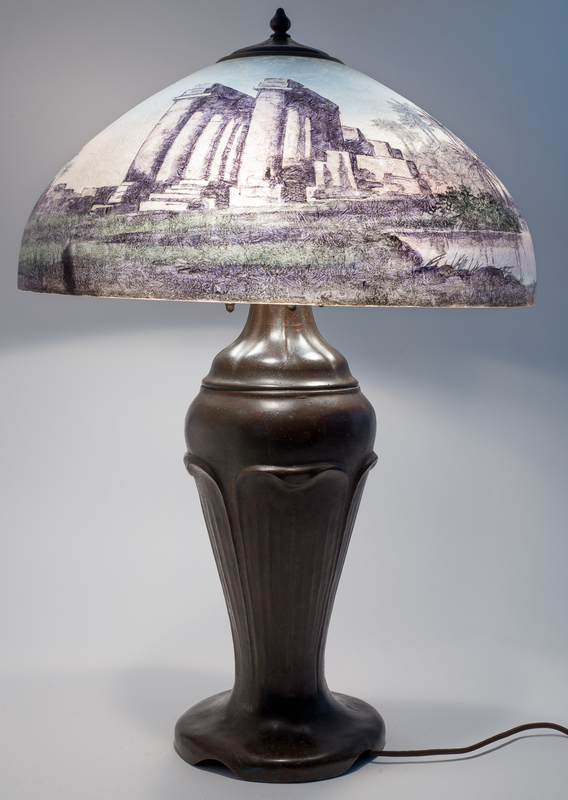 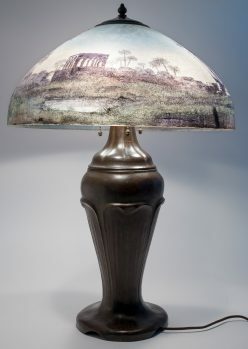 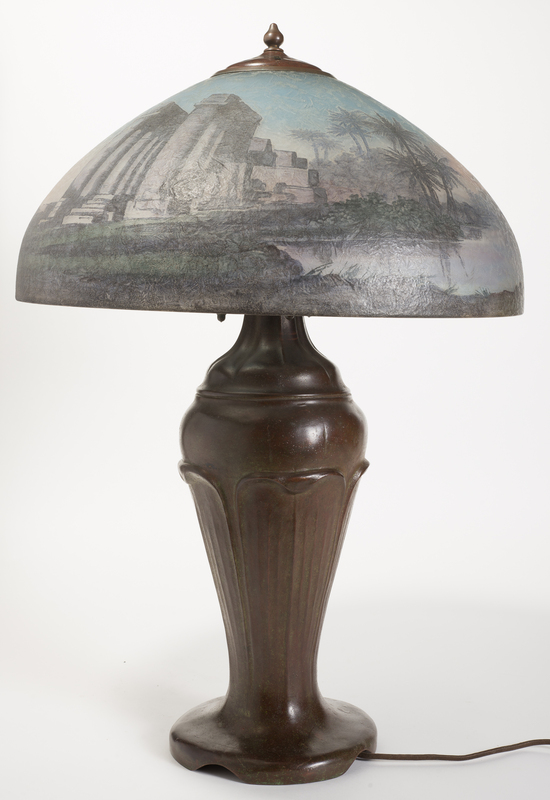 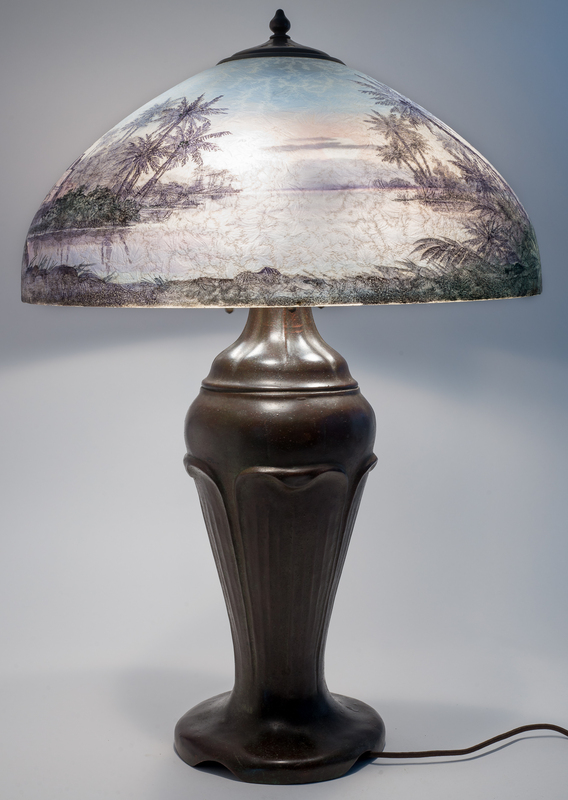 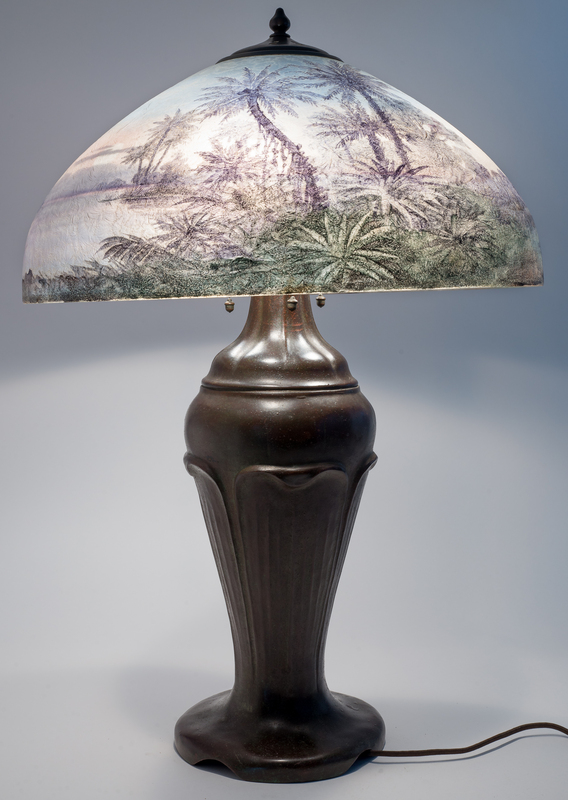 Classic large table lamps like this used to sell for $15,000 - $20,000. 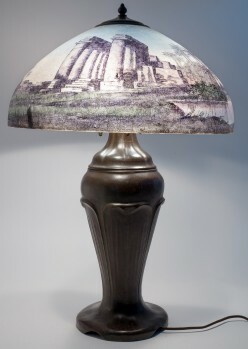 The market is softer today and this lovely ancient ruins scene will likely sell for a bargain compared to historical prices. Shade is signed in felt tip pen, metal ring is also marked as well as the bottom of the base. 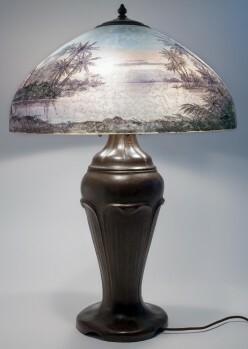 25.5" tall, 18" shade diameter.